Cafe seating - The main cafe seating area will be closed through the first half of October. Because of this, we have shifted the seating to alternate locations. Late last season, we moved several of our cafe tables to the grand tier and orchestra levels. Those remain in place. We have placed the remaining tables in the cafe annex (directly across from the main seating location) and on the promenade level carpet. Again, we expect this to be in place for approximately three to four weeks. Men's and women's restrooms on the orchestra level - The men's restroom which was previously located in the orchestra house right elevator alcove has moved. In approximately mid-October, it will re-open inside orchestra house left elevator alcove. Because it is not yet ready for service, we have temporarily changed the women's restroom at the bottom of the orchestra right box hallway ramp to a men's room. The women's restroom in the orchestra house right elevator alcove remains open, and will not change. We will be posting staff in the right elevator alcove to help alert patrons to the change in status. Comcast lounge - As was the case late last season, we continue to use a portion of the Lockheed Martin north lobby (orchestra lobby) as a temporary Comcast lounge. This is denoted with a pipe and drape structure in the north lobby. We are excited for the finished project to come. For now, please be aware of these changes. 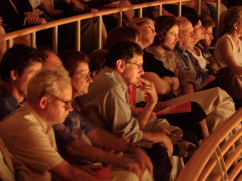 We will continue to keep our patrons and public apprised of our status to ensure the most efficient and most comfortable use of the Music Center as you attend our performances. Parking is located in the Grosvenor-Strathmore Metro garage off of Tuckerman Lane. Parking is complimentary for ticketed events in the Music Center's Concert Hall. At the end of each ticketed event in the Music Center's Concert Hall, the exit gates to the garage will be open for 30 minutes to exit the garage. Metro has eliminated live exit attendants. They have been replaced with a Customer Service Station in every parking exit lane with an intercom, video/camera connection and a credit card and Smartrip Card reader. This station will connect a patron with Metro’s Parking Operations Control Center. The parking barrier gates are opened and closed remotely from the POCC and customers can interact live with POCC Office Staff through the in-lane Customer Service Stations. If you leave before, or up to 90 minutes after this 30 minute period, you must show your ticket stub to the POCC Office Staff. To access the Music Center from the Grosvenor-Strathmore Metro garage, walk across the glass-enclosed sky bridge located on the 4th level. At non-performance times, Monday–Friday, parking in the garage is $5.10 and must be paid using a credit card or a Metro SmarTrip card, available for a one-time fee of $5 at all Metro Stations. Money can be added to this card for unlimited usage at the Grosvenor-Strathmore Metro station. Daily until 5 pm there are designated 15-minute parking spots for ticket purchasers in the Mansion at Strathmore lot, entry off of 10701 Rockville Pike. There are also short-term meters along Tuckerman Lane as available. The ticket office opens at 10 am and is also open starting 120 minutes before a Music Center performance. It remains open until 30 minutes after the start of the show. Valet Parking is $15 per vehicle at all public Concert Hall performances. Valet drop off and pick up at the Circle Plaza entry to the Music Center at Strathmore at 5301 Tuckerman Lane. Strathmore is located adjacent to the Grosvenor-Strathmore Metro station, on the Red Line. When exiting the station, turn left along the pedestrian walkway. Strathmore is located across Tuckerman Lane and through the trees. You will see the mansion atop the hill. Follow the walkway to Strathmore's East side entrance. Strathmore is easily accessible by bus. We are serviced by the following routes. Please click here for specific route and time information for Ride-On and here for Metrobus. The Music Center at Strathmore welcomes a new food service team this season — Ridgewells Catering. Ridgewells will be offering a three-course prix fixe meal at $25 per person, in addition to à la carte dining. Due to renovation there have been some seating changes at the Allegro Kitchen Café. Approximately half of the seats which were located in the main café seating area, and all of the seats in the café annex (formerly the gift shop space) have been re-positioned. Additional café tables have been added to the Grand Tier, Orchestra and Promenade levels. Tables are available on a first-come, first-served basis. Pre-concert dining opens two hours prior to performance start time, only when the performance is held in the main Concert Hall. Due to limited seating, please plan to arrive early. Click here for our service fee and exchange policies. 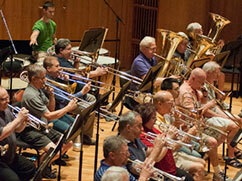 There are no per ticket service fees for BSO at Strathmore purchases completed through BSOmusic.org. Orders for subscription packages are subject to a $12 per order processing fee. We do not charge fees for ticket delivery. The ticket office is open starting 120 minutes before a Music Center performance and remains open until 30 minutes after the start of the show. Ticket Office parking: Daily until 5 pm there are designated 15-minute parking spots for ticket purchasers in the Mansion at Strathmore lot (entry off of 10701 Rockville Pike) and at short-term meters along Tuckerman Lane. TTY via Maryland Relay for Maryland residents at 711 or out of state at 1.800.735.2258. Tickets purchased by phone are subject to $4 per ticket in service fees. 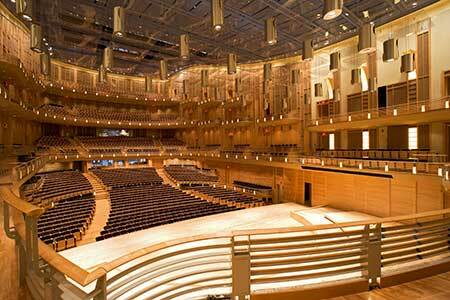 Click here to view a Strathmore seating chart and plan your next visit to the BSO at Strathmore. Should you misplace your tickets or forget to bring them to the performance, please go to the Ticket Office for replacement tickets. Don't let your tickets go to waste! Please consider returning your unused ticket to the BSO at Strathmore for a tax-deductible donation. If you are unable to use your tickets, they can be returned by mail, fax, in person, or by calling the BSO Ticket Office before 5pm the day of the performance. Individual tickets can be exchanged within the same concert season for a processing fee of $5 per ticket. Individual ticket exchanges can be done by phone, fax, mail and in person at the Meyerhoff and Strathmore Ticket Offices. Online ticket exchanges are only available to subscribers. Exchanges into premium concerts, seating sections and pricing cannot be guaranteed and are subject to availability and additional fees. The BSO reserves the right to define a concert as premium based on demand. Some exclusions apply for group, student and special event sales. Fax number: 410.783.8131. There is no fee for exchanging your tickets by fax. Include in the fax your name, daytime phone number, three alternate dates for a performance and payment by credit card. Please call the Ticket Office at 410.783.8000 during its hours of operation. Explore the music before you arrive! 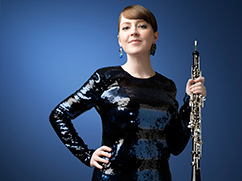 The BSO now offers insights about our concert selections in a digital podcast format. Podcasts are presented by Classical WETA 90.9FM On-Air Hosts David Ginder and Marilyn Cooley, and WBJC 91.5FM Program Director Jonathan Palevsky. Visit BSOmusic.org/Podcasts to listen to our archives. The BSO’s impact in Montgomery County and the DC Metro area extends far beyond just concerts at the Music Center at Strathmore. “Backstage with the BSO at Strathmore” chronicles the many stories behind the scenes at the BSO’s second home and throughout the area. A little more than a decade ago a group of visionary Maryland leaders had a transformational idea—to create a music center at Strathmore with the world-class Baltimore Symphony Orchestra as the founding partner and resident orchestra. With this new home, the BSO became the nation's only major orchestra committed to two year-round venues in different metropolitan areas. 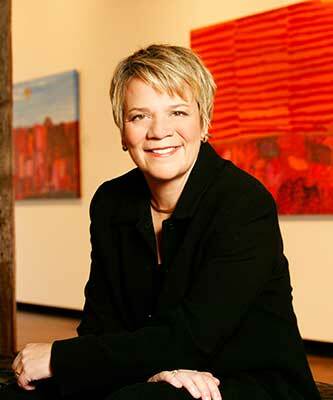 Now in our 11th season, Music Director Marin Alsop's powerful vision for the BSO at Strathmore continues to add to this legacy. 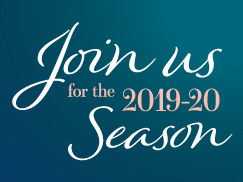 We continue our commitment beyond our weekly evening concerts with a series of Sunday matinée performances, growing our Orchlab program in Montgomery County Title-I schools, and a new location in Silver Spring for Music Box concerts for young children. 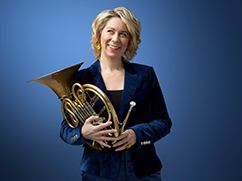 "BSO at Strathmore concerts," says Marin Alsop, "capture the transformational power of music and aspires to offer a transcendental connection for people beyond their own worlds." In the extraordinary acoustics of Strathmore, you have come to expect this magical transformation in your own backyard on a weekly basis. Our musicians look forward to sharing great music with you this season. And thank you, in advance, for making it all possible.